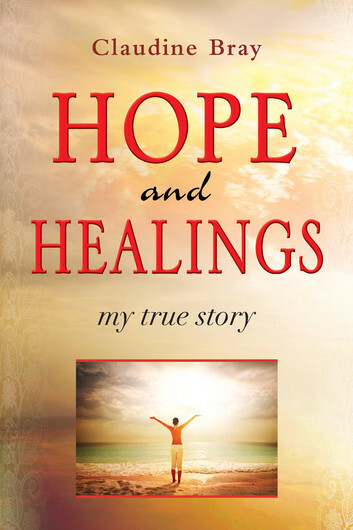 Hope and Healings—My True Story is an encouraging and faith-filled story about how one woman faced satan’s attacks on her physical body time and time again—and she always emerged victorious because of her hope in God’s healing touch. You too will be encouraged no matter what problems you may be facing—illness, financial difficulties, relationship issues—with God all wounds can be healed! You will learn how to become a victor—not a victim. Miracles happen every day—and in God’s own time, you can expect a miracle too. When you believe that your battle has already been won by Almighty God, all your hard times will soon be over, replaced with a great future. Five times the word “our” is used, emphasizing that Jesus died in our place, to redeem us from our sin and sickness and death. Isaiah, moved by the Holy Spirit, recorded that prophecy over 700 years before Christ was born. Matthew records how that prophecy was fulfilled: “…And He cast out the spirits with a word, and healed all who were sick, that it might be fulfilled which was spoken by Isaiah the prophet saying: ‘He Himself took our infirmities and bore our sicknesses’” (Matthew 8:16-17 NKJV). However, we must also acknowledge, that there are many people who have been afflicted with various diseases and sicknesses who have not received healing when they have been prayed for. Even the great Charles Price, author of The Real Faith, whom God used mightily in healing crusades in the early 1900s and who saw great miracles including people getting out of wheelchairs, used to go back to his home or hotel after these great meetings and weep into the night for those who were not healed and who were not raised from their wheelchairs. In writing the Foreword to this book, I felt it needful to lay the foundation for our faith in Christ and His Word; because whether we see healing or not, we must remember that God is faithful to His Word, and that He has many ways of bringing His Word to pass. In the case of our dear friend Claudine Bray, healing didn’t come immediately, but eventually; and though she suffered quite considerably in the meantime, she experienced revelations and encouragements from the Lord that certainly enriched her life. I am reminded of Job (don’t we so often refer to him as an illustration? ); he had a testimony from God that he was a blameless and upright man, one who feared God, and shunned evil. And yet he went through a severe testing time, to the point where Job said, “Though He slay me, yet will I trust Him…” (Job 13:15 NKJV). What an incredible statement for him to make! What an incredible faith he had in his God, regardless of his suffering. And finally Job’s faith was rewarded, and God restored his losses, and gave him twice as much as he had before, “Now the Lord blessed the latter days of Job more than his beginning…” (Job 42:12 NKJV). And so in commending this book to you, I know that you will be enriched and blessed as Claudine walks you through her incredible journey. My prayer is that you will become a faithful and true worshiper of God as she has, all because she never turned back from trusting and following her God, knowing that whatever happened, God would bring her through. Though it was not a pleasant experience, she is the richer for it.